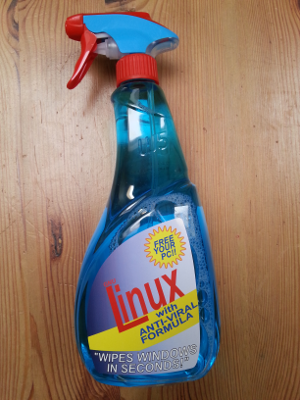 Use Linux with Anti-viral formula. During the 2013 T-Dose conference (October 26-27) www.t-dose.org) a limited number of Linux windows cleaner were produced. A limited number is still for sale. The numbers are limited so reserve your copy in advance by writing an email to me.